The 18th Meeting of Parties of the Congo Basin Forest Partnership (CBFP) will take place on 27 and 28 November 2018 in Brussels, Belgium. Held every year, the CBFP Meeting of Parties is the highest decision-­‐making body of the CBFP and will bring together Heads of State, ministers and senior multilateral officials from around the world. Reflecting the diversity of stakeholders making up the CBFP’s 107 members, the meeting will also attract participants from international organizations, multilateral partners, civil society organizations, indigenous peoples, youth, women, the media, academia and the scientific community, universities/scholars, foundations and the private sector. The high-­‐level Meeting of CBFP Parties will be organized by the CBFP Facilitation with the financial support of the Kingdom of Belgium, the European Union and Germany. 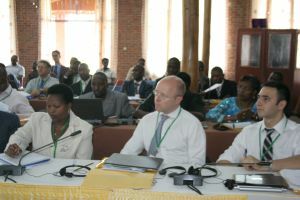 It is expected to be a major event with close to 400 Participants coming together to celebrate past achievements, discuss and share views on a variety of topics relating to conservation of biodiversity, wildlife, the fight against climate change, sustainable management of Congo Basin forests as well as local development of the Congo Basin people. 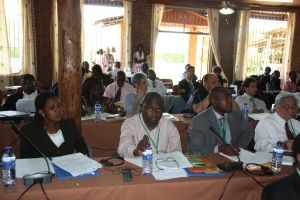 The 18th Meeting of CBFP Parties thus offers a unique opportunity to share knowledge, ideas and solutions to some of the most pressing environmental issues in the Congo Basin with ramifications for the whole planet.